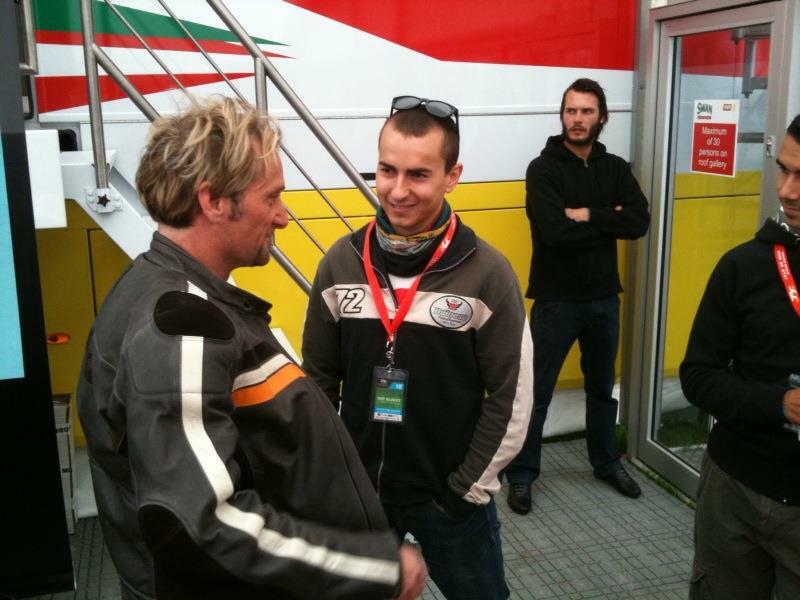 WSB legend and former TT lap record holder Carl Fogarty gives words of encouragement to Jorge Lorenzo as the MotoGP rider prepares for his TT debut today. Dainese backed Lorenzo is making his first trip to the Isle of Man and will ride the parade lap alongside MCN's Marc Potter and GP icon Angel Nieto. Read our exclusive story in full in MCN on sale Wednesday June 16.